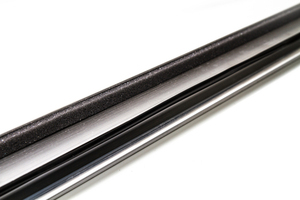 Eagan Manufacturing offers a variety of accessories and additional hardware options to compliment our doors. Each item is sold separately and should be requested when you place your order. 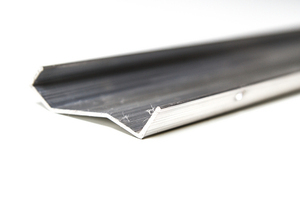 We also offer two different styles of thresholds for our E1HDL series doors. Please discuss your specific needs with one of our friendly sales professionals to determine which items will work best for your application. Safety Chains - Durable 18" chain attached to a tension spring to prevent doors from overextending into your building structure. 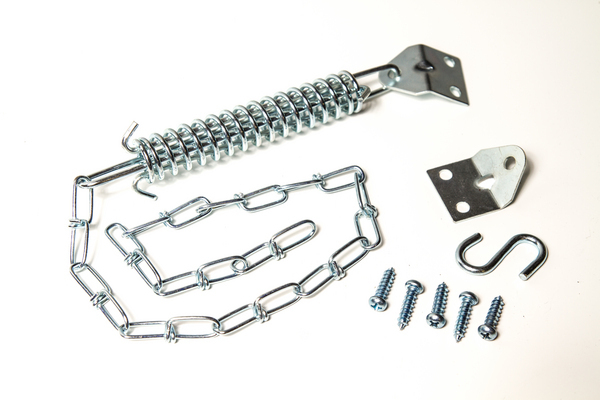 Attachment screws included. Drip Caps - Aluminum extruded caps are designed to be installed above door frames to direct water away from the frame. Multiple sizes available. 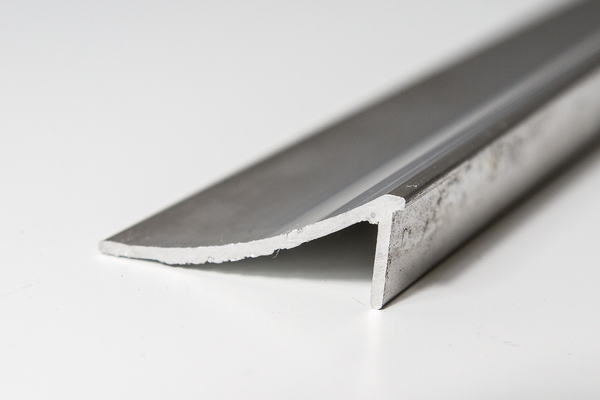 Add-On Thresholds - Aluminum extruded thresholds are installed on the floor behind the lip of the inside frame of the door to assist in getting items over the door frame. 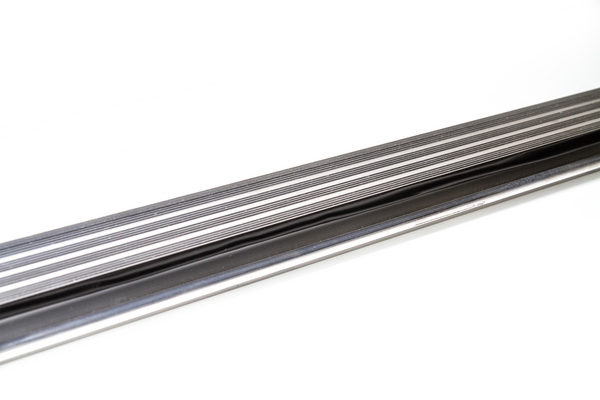 In acting as a "ramp", it allows for items to roll over the frame easier. Multiple sizes available. Standard E1HDL Threshold - The inside frame consists of a 5/8" lip with foam tape, as well as our standard sealing vinyl bulb. Low-Profile E1HDL Threshold - The inside frame consists of a 1/8" lip with NO foam tape, as well as or standard sealing vinyl bulb.